GM is talking with 2 Saab bidders, Bloomberg says. 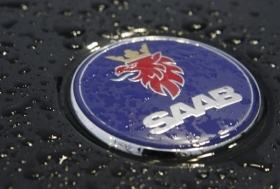 MUNICH -- General Motors Co. is prepared to wait beyond the end of this week before deciding on the future of Saab as it reviews remaining bids, Bloomberg News reported. Aakerlund said GM told Saab last week that it would wind down Saab and simultaneously continue talks with bidders about a sale, said Aakerlund, who also heads the IF Metall union at Saab. Victor Muller, CEO of Saab bidder Spyker Cars, said he remains optimistic about his company's chances of getting control of Saab. "I am very hopeful, I have been from the start," Muller was quoted as saying on Monday in Swedish daily newspaper Svenska Dagbladet. "We have done all we possibly can." Muller said he expects a decision in days on whether the company has been successful in a bid to buy Saab. "Given that (GM's) deadline is December 31, I really expect they will be in contact soon," Muller added. Saab has been hoping an 11th-hour savior would turn up after GM said last month it would wind down the carmaker if a buyer did not appear before the end of December. Netherlands-based Spyker -- which made 43 luxury cars last year compared with Saab's sales of 93,295 -- launched a second offer to buy Saab from GM just before Christmas -- two days after its first offer was rejected. Spyker's interest in Saab followed the collapse in November of a deal that would have seen the money-losing Swedish automaker bought by Sweden's Koenigsegg Group AB. Bloomberg said talks with GM are now focusing on two Saab suitors: Spyker and Merbanco Inc., a Wyoming-based group that revised its bid after bringing in Swedish investors.